Octopath Traveler released over the weekend, but for those who haven't picked it up over the weekend, here's a chance to revisit the Shacknews review, along with reviews from our colleagues in the gaming world. While Square Enix is pushing the Final Fantasy series in newer, more modern directions, the publisher is also proving that it can still craft together quality classic-style RPGs. 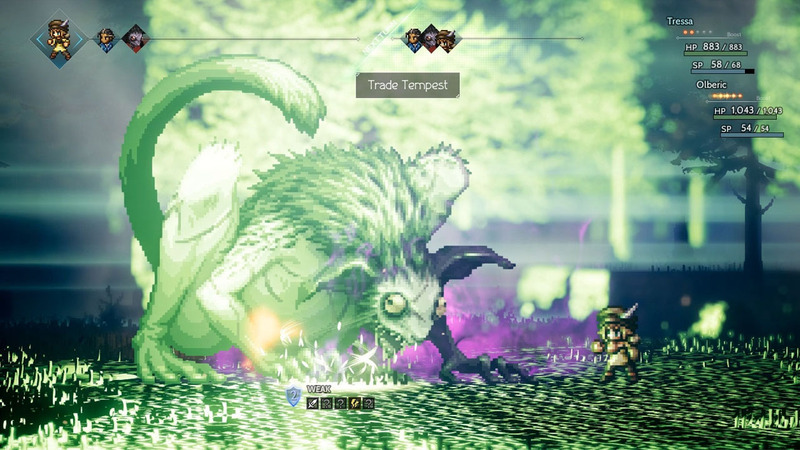 The Bravely Default series showed off Square's penchant for sticking to the classic style, but Octopath Traveler goes a step further by fully embracing old-school pixel art and depending on old-fashioned storytelling and solid RPG mechanics to carry it through. For this edition of Final Score, Shacknews is revisiting our review of Octopath Traveler, while also putting it up against reviews from our gaming brethren from other outlets. Check out the melting pot of opinions and decide for yourself whether Square's latest JRPG is worth exploring on the Nintendo Switch. Shacknews 8/10: "Too many developers have tried and failed to capture the nostalgic and often magical feelings that players have for the JRPG genre. Pared-down retro releases and fluffed-up remakes come and go, yet none of them seem to get things exactly right. 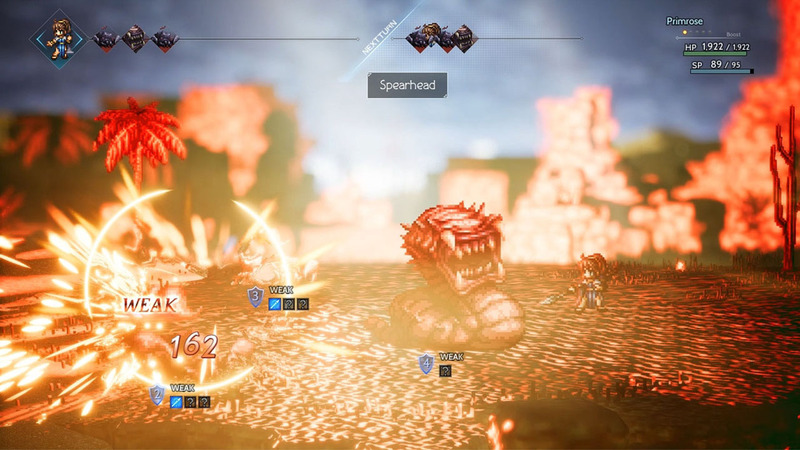 Fortunately, Octopath Traveler succeeds where other classically-styled RPGs fail: the presentation is spot-on, the combat is addictive, and the potential for party customization is tremendous. Small stumbles with dialog and framerate can be forgiven simply because the rest of the game is an absolute delight. This is an experience that players can easily get lost in for dozens of hours, and it's sure to be counted among the best Nintendo Switch exclusives released to date." "Octopath Traveler is a JRPG dream come true. Both its battle system and aesthetic pay loving tribute to the Super NES era while moving the formula forward in exciting and novel ways. This isn’t merely a modern retread of past classics, but a phenomenal homage with genuinely fresh ideas in a fantastically charming wrapper of old-school meets new. While the eight different character stories could’ve used a little more connection between them, I’m looking forward to going back to complete them all, explore the many side areas, battle optional bosses, and unlock the final job classes." RPG Site 7/10: "I really want to love Octopath Traveler, but the messy nature of its story presentation is ultimately an enormous weakness. That stands out, but this game is also truly one of the most intriguing evolutions of the 'golden age' RPG formula out of Japan, managing to both build on and pay homage to the classics. I don’t particularly mind that Octopath Traveler is a collection of eight separate stories, but the lack of any sort of cohesion even among the party members bogs it down and makes the stories that are there ring slightly hollow. Octopath Traveler is an excellent game, but the elasticity of its structure proves to be the one unassailable hurdle between it and becoming a classic in its own right." Destructoid 7.5/10: "In that sense Octopath Traveler is a little at odds with itself. It's fun to play, the characters are mostly compelling, and it looks incredible. Yet, there's a harrowing feeling of emptiness at points, especially during some of the game's blander dungeon crawls. For the vast majority of the adventure I cared about my party's motivations and the world around them, but every so often I'd get that sinking feeling that I had been there before, both pragmatically and spiritually within the confines of Octopath's own universe. Brand new JRPG players who can get over a few of the more archaic notions might find it more refreshing. "But there's one thing I never got tired of -- the aesthetics. I want to see more games use this "2.5D HD" style, and please don't make me wait a decade and change this time. It's easy to compare it to something like Final Fantasy Tactics, but the more you play Octopath the more you'll see that it's really its own thing. Winding vertical dungeon layers hide secrets without making navigation too frustrating, small towns have their own charm about them, and character models, especially bosses, are emotive. That charm also extends to the beautiful soundtrack." Nintendo Life 9/10: "Octopath Traveler is a special RPG, the kind of game that keeps an eye on the past while walking bravely into the future. Indeed, we’d even go so far as to say this is the best RPG you can find on the Switch to date, all elements of this game link together perfectly to make for a harmonious and immersing experience that you’ll find difficult to put down. We’d recommend Octopath Traveler to both fans and newcomers of RPGs; the game does a fantastic job of straddling that line of accessibility and depth, satisfying both camps with its dizzying amount of content. Classic-inspired gameplay, an orchestrated soundtrack, and a unique approach to storytelling make this a game that you won’t want to miss. This is an absolute must buy." Octopath Traveler is available now on Nintendo Switch. I think I've bounced off the game after 5-10 hours. I like the gameplay, though it's a bit too grindy, but really it's the story that is just a huge bummer. The criticisms that it's nothing but 8 unconnected vignettes are spot on. None of them are especially compelling or are given any time to develop. You go through the basic motivations of your main character in Chapter 1 - let's say that gets you to level 5 - and then the next stage in his/her story is level 27 or something which is many hours away. You're expected to go through and complete nothing but these introductions for all 8 characters, which takes a long time, before you get any kind of actual story progression. Then I'm sure it's the same for Chapter 3. The characters don't converse, they don't acknowledge one another's presence in any way. What's the point? It just gave me nothing to latch on to. The game could have been so much better if all the stories were connected. Maybe lock down the character order to some extent so you can script conversations between them.